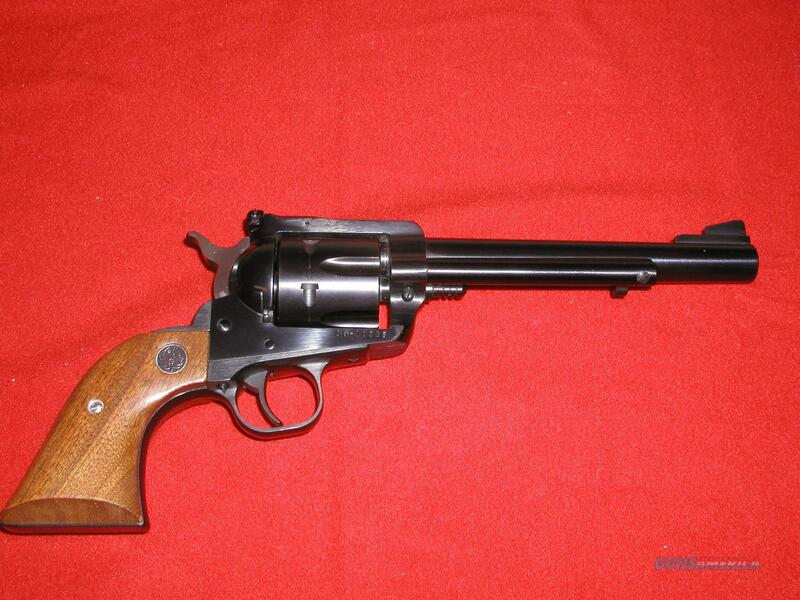 Description: Ruger New Model Blackhawk, .357 Magnum Single Action Revolver, fluted cylinder, 6.5-inch barrel, Manufactured in 1983, Serial No. 36-103XX, Ramp front, and adjustable rear sight. Factory original walnut grips. This gun has never been fired and is as new. No box or papers.